Yesterday, November 9th, President Muhammadu Buhari said his administration will continue to keep the issue of reviving the Lake Chad on the front burner and exert more commitment from the developed countries to do the needful. Speaking during a courtesy visit by the Nigerian Conservation Foundation (NCF) and his investiture as Patron of the Foundation, President Buhari said it was regrettable that the issue of the receding Lake Chad had not been addressed till recent times. ‘‘The problem of climate change is real. The desert encroachment is aggravating it. The population explosion in Nigeria is another big challenge. The drying up of Lake Chad is a serious thing for Nigeria and the Lake Chad Basin countries. Nigeria is much more affected because fishing, animal husbandry and farming are affected very seriously. We are trying to prick the conscience of the developed countries that have the resources and the technology to quickly execute the interbasin transfer from Congo Basin to Chad Basin,’’ he said. President Buhari also welcomed the advocacy by the Foundation on the need to protect endangered plants and animals in the country. To this end, the President directed the Federal Ministry of Environment to reflect this in its budgetary requirements in the next fiscal year, adding; ‘‘the rate at which animals are being hunted and eliminated around the country, we must seriously give the forest reserves our support and attention as much as we can’’. 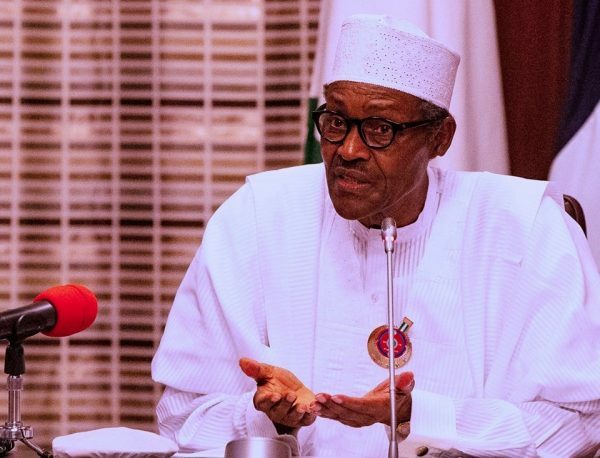 The post “We Are Trying To Prick The Conscience of The Developed Countries To Help With The Lake Chad Climate Problem” – President Buhari appeared first on LATEST NIGERIAN NEWS BREAKING HEADLINES NEWSPAPERS. Abuja Civil Servant Gives Away Herbal Remedy That Reverses Hypertension, and Lowers Blood Pressure without Drugs!